Full details of Twentieth Century Fox Home Entertainment's Extended Edition of Fantastic 4 DVD, which is due on sale on Monday, are now available. 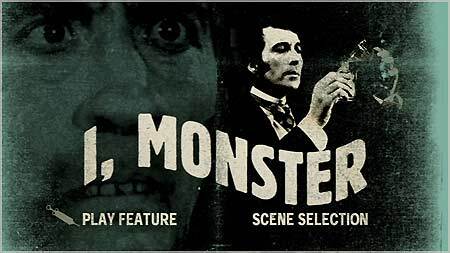 The disc offers an extended version of the film, which is twenty-five minutes longer than the theatrical version (the new version runs for 120'56). The film is presented in 2.35 anamorphic widescreen format, with a choice of Dolby Digital 5.1 or DTS 5.1 audio tracks, and optional English subtitles. The disc also includes a new featurette, promoting the film's sequel, Origins of the Silver Surfer (8m) and a recent Fantastic Four: Rise of the Silver Surfer theatrical trailer. The disc also includes a full-length trailer for Live Free or Die Hard. Fox is also offering a 2-for-1 ticket offer (redeemable at Odeon cinemas in UK, and UCI cinemas in Ireland). The RRP is £9.99. A couple of etailers have it available for pre-order for £6.99 (see the disc's Incoming record). 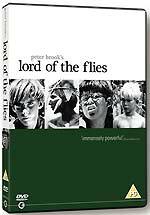 Second Sight will release Peter Brook's 1963 adaptation of Lord of the Flies, William Golding's chilling novel about a group of children marooned on a deserted island, on DVD on July the 23rd. The disc will feature a commentary track by director Peter Brook, producer Lewis Allen, director of photography Tom Hollyman and cameraman / editor Gerald Feil. (This is probably ported from the Criterion edition, since that features the same participants). 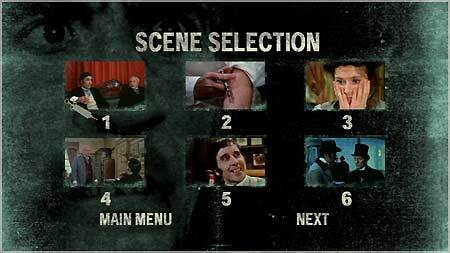 Second Sight's disc apparently lacks the other features found on the Criterion disc, which include a deleted scene; extracts of the novel read by Golding; a production scrapbook; trailer with commentary; and extracts from a 1972 documentary, The Empty Space, which showed Brook at work. No technical details were announced. The RRP is £19.99. Australian cult TV label Madman Television will release a five-disc set containing thirty-six uncut episodes of McHale's Navy - Season One on August the 15th. The series, which ran for four seasons, from 1962 to 1965, starred Ernest Borgnine as Lieutenant Commander Quinton McHale, the roguish skipper of a World War II Torpedo Patrol (PT) boat. It also featured The Love Bug's Joe Flynn, as Captain Wallace Binghampton, and sit-com stalwart Tim Conway, as straight-laced Ensign Charles Parker. 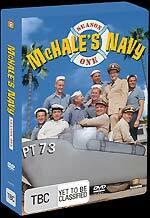 The set will also feature a McHale's Navy reunion featurette. A limited number of sets will come with collectable temporary tattoos. The RRP is AU$39.95 (about £17). 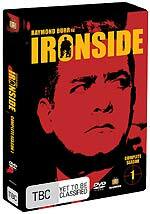 The label will also be releasing the first season of Ironside on August the 15th, as an eight-disc Complete Season 1 set, or as two four-disc Season 1 - Part 1 and Season 1 - Part 2 sets. The former has an RRP of AU£69.95 (about £30); the half-season sets have an RRP of AU$39.95 (about £17). The series, which ran for eight seasons between 1967 and 1975, starred Raymond Burr as Robert T. Ironside, a wheelchair-bound detective working for the San Francisco Police Department. The series features memorable music by Quincy Jones. Guest stars in the first season episodes include Harrison Ford, Bruce Lee, David Carradine and Jack Lord. The sets will include the original feature-length Pilot episode. The IMAX theatre near Waterloo station will be screening Harry Potter and the Order of the Phoenix from August the 3rd. It will be the only cinema in London where fans of the franchise will be able to see the film's twenty-minute finale in 3D. Tickets can be booked at tickets.imax.bfi.org.uk or by phone, on 0870 787 2525. More details about the additional bonus features on Sony's forthcoming Hostel Special Edition two-disc set are now available. The featurettes are: KNB Effects (11m); Music and Sound (12m); Set Design (5m); Hostel Dismembered (30m); 'An Icelandic Meal' (3m); and Takashi Miike Interview (10m). The 'An Icelandic Meal' featurette shows a man eating a local Icelandic delicacy: a dried sheep's head.